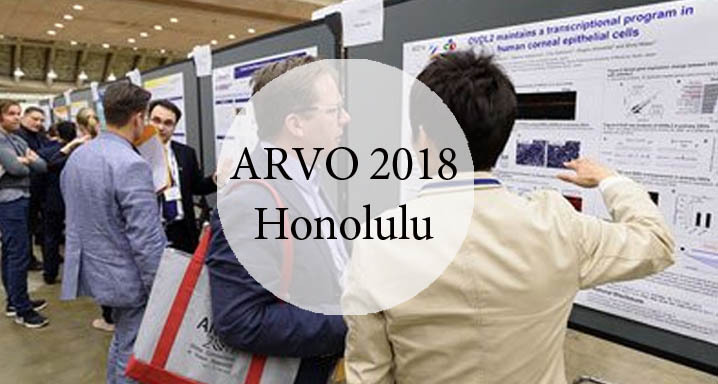 Dr Jordi Monés and Dr Anna Sala took part this year at the ARVO Congress, an event that is a global ophthalmological benchmark, to present the latest developments in the research into vision diseases. Dr Monés, the Director of the Institut de la Mácula, moderated a session on atrophic AMD and set out the results achieved in the Proxima A trial following observation of 100 patients with geographic atrophy for a year. This prospective, multicentric epidemiological study demonstrates the serious functional impact and the high degree of functional deterioration the disease causes in patients, which directly affects their quality of life. Dr Sala, who specialises in diseases of the macula, retina and vitreous, presented the results of a study on diabetic macular edema that she authored. Entitled "Relationship between cytokine aqueous humour levels and Optical Coherence Tomography features in Diabetic Macular Edema", the study concludes that there may be a link between cytokine AH levels with clinical phenotype in OCT, although it appears that further studies will be required to determine the clinical relevance. In the context of neovascular macular degeneration, Novartis presented at the Congress the results after one year of a prespecified secondary analysis of the phase III clinical trials, 'Hawk' and 'Harrier', which compared brolucizumab 6 mg (RTH258) with aflibercept 3 mg. The results showed that approximately 85% of the patients assessed as appropriate for a 12-week treatment frequency with brolucizumab during the first 12-week cycle after loading could reliably stay on that quarterly interval up to week 48. These results can give doctors the confidence that when the 12-week administration with brolucizumab is initially satisfactory, there is a high probability that the patient will be able to maintain this interval during the first year of treatment. This would mean a reduction in the need for regular visits, functional examinations, imaging tests and intravitreal injections. The results after two years are awaited with interest as they could offer the incorporation of a new anti-VEGF treatment as a solution to combat this disease. However, the definitive conclusions are not expected for some time.